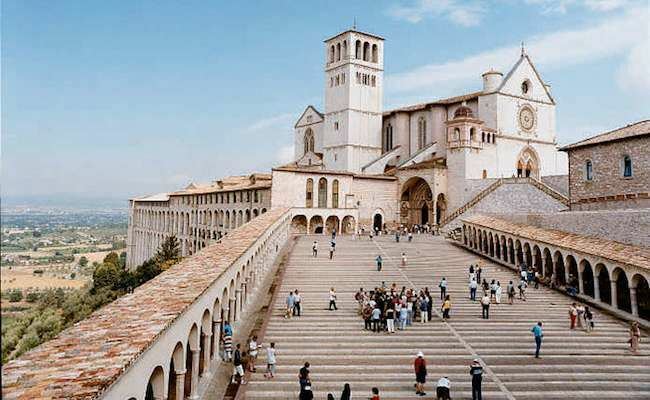 Assisi ( from the Latin: ) is a town and comune of Italy in the province of Perugia in the Umbria region, on the western flank of Monte Subasio. It was the birthplace of St. Francis, who founded the Franciscan religious order in the town in 1208, and St. Clare (Chiara dOffreducci), the founder of the Poor Sisters, which later became the Order of Poor Clares after her death. The 19th-century Saint Gabriel of Our Lady of Sorrows was also born in Assisi. 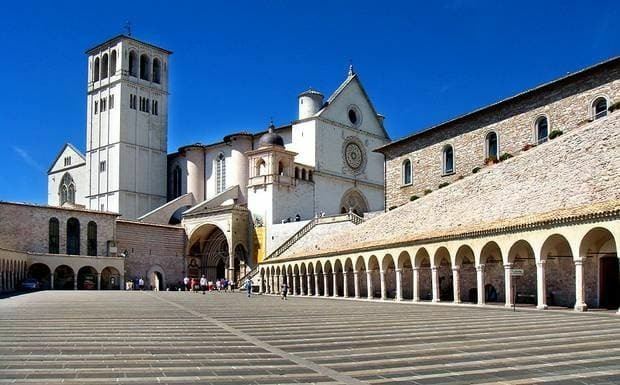 UNESCO collectively designated the Franciscan structures of Assisi as a World Heritage Site in 2000. Festival Calendimaggio, held on 1–5 May, is a re-enactment of medieval and Renaissance life in the form of a challenge between the upper faction and the lower faction of the town. It includes processions, theatrical presentations, flag-weavers and dances. Assisi Embroidery is a form of counted-thread embroidery which has been practised in Assisi since the 13th century. Today the town has many groups coming to enjoy the simple peace of St. Francis. One such group has restored an 11th-century room and added altars to the worlds religions. 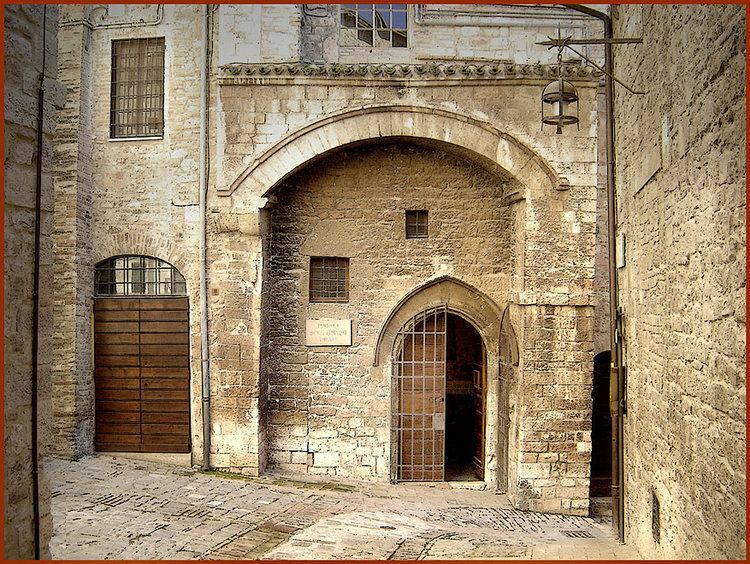 Other organizations, such as Assisi Performing Arts, complement Assisis tranquility with music and other cultural events.